So what AREN'T you drinking now? I'm off alcohol till Feb. 3, except whatever drips into my latte when I add vanilla extract. Recent discussions have whet my appetite and make me miss the smell and taste of a nice dram. So for those of us taking time off, Dr. orders, on call etc...., if you were pouring an ounce, what would it be? 2 years agoWho liked this? @Nozinan Whisky could be an issue. I've been wondering and debating what a whisky infused with truffle would taste like? The debate is which whisky(possibly Bruichladdich Black Art) and which truffle(white or black). @Hewie if you want the recipe? I'll follow you and then figure it out how to send you the recipe. The private message system on Connosr has a length limitation. @fiddich1980 I think black truffle might be a good place to start, white can be intense and it's best parts (IMO) are ephemeral and therefore harder to capture in other mediums like oils or butter. That said I think the experiment could be fun. That's my desert Island whisky, the one to rule them all and on my last trip to Calgary I called and visited every damn store I could think of in search for it and then to learn it was so close, within reach this whole time...I almost cried my damn self to sleep. Caol Ila CS, G and M bottling I got by way of Nova Scotia. Great bottling (oh, to have another - wait, I do, just a different cask). I'm on call today. Its been buy. Last night I covered the empty glass from my 15 cc pour. What a nose! It beats many a glass with liquid, to be sure. Incredibly complex. Campfire with some green wood, possible pine, dusty basement... and more. I have a cabinet full of open bottles, and a drawer full of samples. I am not on call, I don't have to drive. Perfect evening to do a review or 2. Can you believe I couldn't pick something I wanted? I gave up on reviewing and thought "what can I have for plain enjoyment without evaluation? Nothing. I figured if such a wealth of choice and nothing spoke out to me, I probably didn't want any whisky tonight. What a waste of a perfect opportunity! @Nozinan Not at all! It always has to be the right place and the right time. It'll speak to you again another time. @paddockjudge The whisky, she is a stern mistress. But treat her right, and she will love you forever. A Whisk(e)y I think I will not be drinking is the upcoming Mister Sam as it looks to be a Bourbon/Canadian collaboration the likes of Little Book II with a much larger price tag and bigger proof point. 7 days ago 9Who liked this? 7 days ago 2Who liked this? 7 days ago 1Who liked this? @conorrob My wife wants us to take a trip to Japan. She hasn't been able to convince me. You have. 7 days ago 4Who liked this? 6) 3 or so bottles of Ichiro's Malts, with or without age statements. Most of these bottles were rare in my region, even in 2010. Purchasing off of this list would also have required on my part anticipating the huge price increases later, since most of these were already quite expensive at that time. 7 days ago 3Who liked this? That is a great flashback Japanese whisky shopping list. 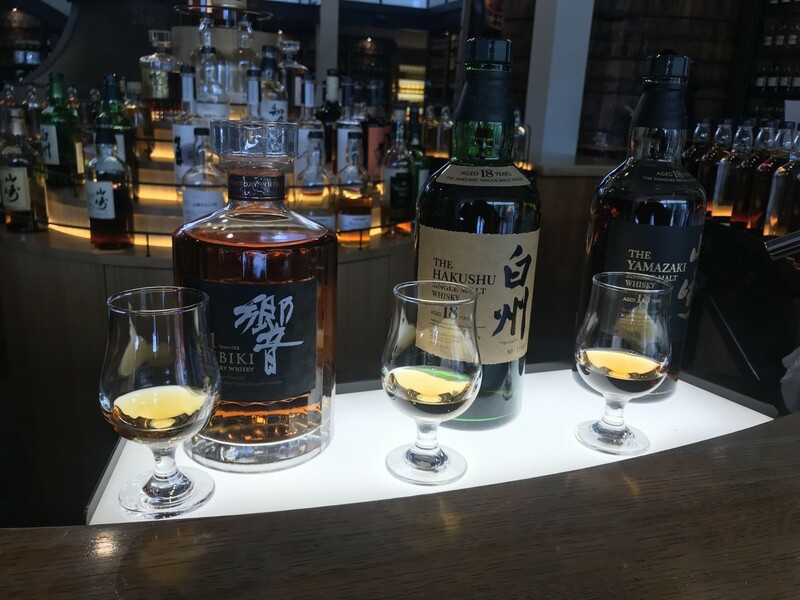 For me, a case each of Yamazaki 18 YO and Taketsuru 17 YO. Hibiki 21, as many as I could find!! @Astroke, it was just a matter of time before another Super-Premium-Elite North American Blend was offered by a major producer. Who's next? @Astroke that last one killed me. From bottom shelf to top shelf. Imagine the reactions if such an exercise occurred. @Nozinan for me that sore throat is always a foreboding sign that I better cool it and take it easy. I've skipped plenty of nights of late and while it bums me out. It's not as bad as drinking when you're not feeling it. @Astroke, come on man! VO was my teenage staple. @cricklewood - The sore throat did indeed develop into a full blown cold. Not a man cold, as I'm still able to function, but enough that I can't taste or smell anything properly.
. . . this, sadly! Doesn't pop up often but £160!? Come on! 10 hours ago 1Who liked this? And no, I don't buy that this is just down to tax if anyone wants to make that argument. 6 hours ago 1Who liked this? 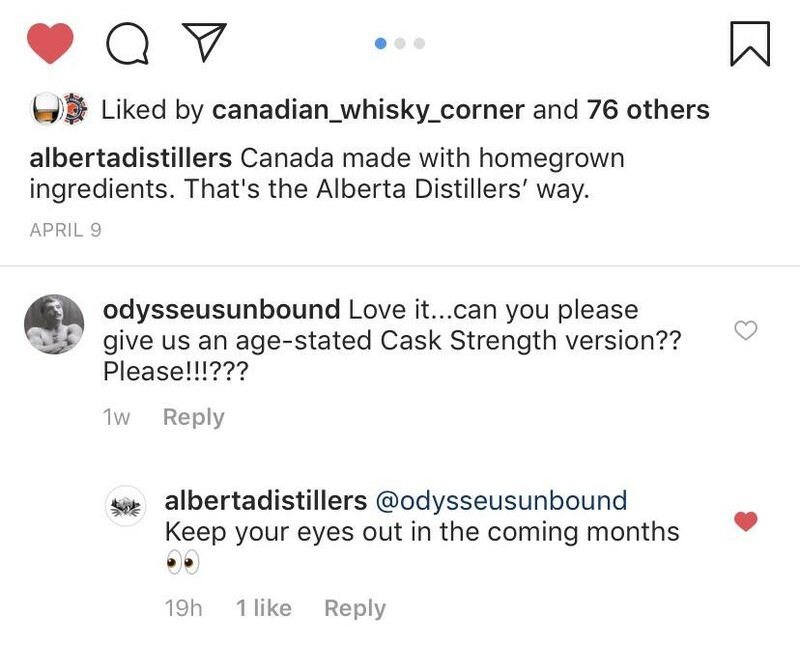 @paddockjudge I don’t know about Super-Premium-Elite, but I’ve been in touch with the people at Alberta Premium, and I’ve been told to keep my eye out in the upcoming months....whatever that means.